Ten Tips To Make Your Website The Best It Can Be! Whether you are an established company, a business start-up or an entrepreneur, embracing online opportunities is of key importance. 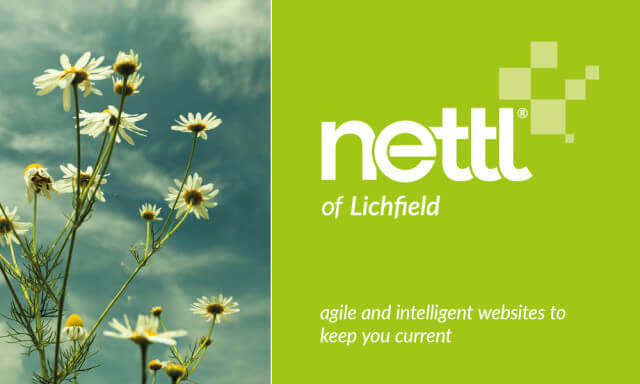 With the help of Rob Finnie, Regional Director of www.nettl.com we have put compiled ten top tips to make sure your website really works for you and your company. If you are considering the exciting prospect of starting a new web project, ensuring that your website is responsive is a top priority. There are now more visits made to websites through the use of mobile devices and tablets than via desktops. In a recent survey, Google identified that 94% of individuals made local searches on their mobile phones. Your web site needs to be able to adapt, change and scale to the device it is being viewed on to ensure your clients remain online with you rather than your competitors. 2: Get Up and Running! It is vital to get your website live as soon as possible. Deliberations over content and budget are not good! Get some content sorted and get your site up and running so that search engines can start trusting your site. Decide what is a ‘must have’ on your site now and then plan what stage two and three might be. Remember, a good website is never finished, they are always growing and developing. Checking your competitors websites before you create your own is great way of saving time and money. An effective website has a healthy balance of content, function, navigation as well as creative design, so make sure you are ticking all these boxes. 4: Make It Easy To Navigate! Your site needs to keep prospects interested. Where do they want to go? What information do they need to go to the next step? Plan their journey through your site and lead them there. Keep it simple and relevant. 5: Use Calls to Action! If you are creating a website to obtain leads or to engage with potential customers make sure you are making it clear to prospects what they need to do. If you want them to get in touch, tell them how they can do that. Ensuring that the content of your website is relevant and includes your key words is vital for successful search engine optimisation. There are lots of tools available to help you improve your site’s rankings. Either you can do it yourself or use and an agency that can help you with this. Google loves a blogger and it favours websites that are regularly updated. In addition, blogging enables you to communicate with your audience, advising them of special offers, important news and useful information. Linking your social media to your blog posts is also a great way to stay connected. 8: Do Not Expect Instant Success! Once your site is live it may take time for people to find it. The design, build and launch are just the start. You need to plan how you are going to market your website. Both online and offline tools can be employed. For example a leaflet mailed out to customers telling them about the site or an offer to drive traffic to the site. Get feedback from visitors to your site. How it is working for them? Is the message right? Is it easy to navigate? If it isn’t, change it. Test it. Monitor the analytics. Make regular adjustments and changes to improve the customer experience as it IS all about them. 10: Plan Ahead And Maintain! Make sure that your website is built on a strong platform giving you the ability to add additional features as and when required. Your website needs to evolve as you business grows and changes. The best websites are regularly updated so plan ahead. If you would like any further details on any of the above points, please do not hesitate to call the Nettl Web Studio here at Raphael Design on 01543 261220. We would be more than happy to have a chat about your current website and how we may be able to help you in the future.